Are you one of the tons of people who suffer from allergies? There are around 50 million people in the United States that have to deal with allergies according to the Asthma and Allergy Foundation of America. One downside of having allergies might be the fact that you have a sensitivity to dogs. It’s a worst nightmare for a dog lover. But don’t fret — just because you have allergies, doesn’t mean you can’t be the dog owner you’ve always dreamed of. 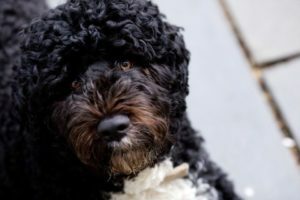 The best option for someone with allergies is to get a hypoallergenic dog. They are largely free of allergens so you should breathe easier and have less risk of watery eyes and sneezing, It’s important to know that no dog is completely free of allergens, however, hypoallergenic dogs are far less allergy inducing. We’ve compiled a list of the best dog breeds for people with allergies. This is a small and beautiful dog with a perfect amount of energy. They are known to be curious, playful, and peppy! They are great for apartments, easy to train, and don’t shed! 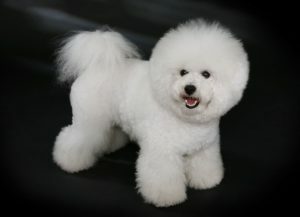 The Bichon Frise is an adorable puffball that is a perfect fit for an allergy sufferer. Even though this breed has long hair, they shed very infrequently and very lightly. They are affectionate, easy to be around, and sweet but they do require a lot of grooming. 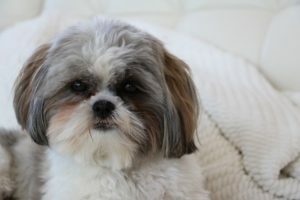 Be careful though, Shih Tzus tend to become jealous very easily so be wary of them around children or babies. 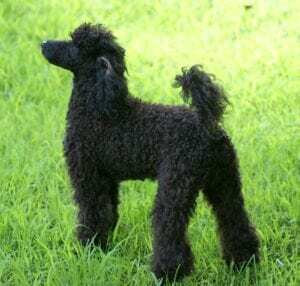 Poodles come in a variety of sizes: toy, miniature, and standard. They are wonderful for a person with allergies because they do not shed — on the flip side, they do require quite a bit of grooming. The Poodle is an extremely smart dog and loves to play. 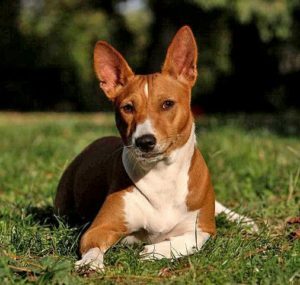 Get ready to read about the most perfect dog for the allergy sufferer — the Basenji. These cutie pies don’t shed or bark, they also have very little dander. They are lovable and sweet but not that easy to train — they tend to be a bit stubborn. A weird quirk — instead of barking, the Basenji makes a strange yodeling sound. If you’re looking for a new best buddy that won’t trigger your allergies, the Schnauzer is it. This shedless breed absolutely loves their owner so get ready for an extra shadow! They are a lovable, loyal dog but keep a firm hand on their stubbornness. 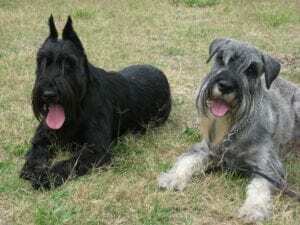 The Schnauzer is also very energetic so they’ll need lots of exercise. Even though they have long, thick hair — they don’t shed! So don’t worry about getting the sneezes around these beautiful dogs. This kind and gentle breed is great to have around kids — they are very laid back. In fact, they are known to “smile” often. The best part? They love snuggles. It’s no wonder they are one of the best dog breeds for people with allergies. This affectionate pup has very little hair so a person with allergies has very little to worry about. They can be a bit clingy but happen to be great with kids. Expect this dog to be super affectionate, alert, and lively. If you choose to get a powderpuff variety, which has more fur, be sure to be on top of their grooming. 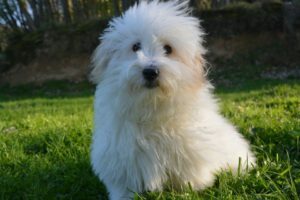 Coton du Tulear is pronounced “cotawn day two-lee are.” This adorable dog breed was put on this planet to be loved. They are extremely happy, bright, and charming. 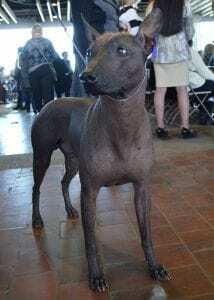 They’ve only recently joined the AKC in 2014 but they are gaining in popularity quite quickly. Don’t be fooled by their long coat, they are extremely hypoallergenic! This lovable, gentle dog breed is a perfect addition to your family. 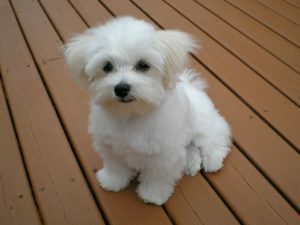 Maltese are very charming and affectionate — you’ll fall in love quickly with this dog. 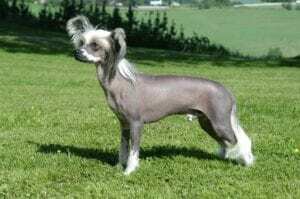 They do have a long coat so even though it’s hypoallergenic, it will still require regular and consistent grooming. Plus — there’s got to be a reason why Halle Berry, Elizabeth Taylor, and Britney Spears have all owned one, right? Don’t let this crazy name fool you, these nearly hairless dogs are perfect to bring into a home with an allergy sufferer. This breed generally goes by the nickname “Xolo” and they are very trainable and extremely loyal — they make great guard dogs. They are known to be generally healthy and love walks. They enjoy being upbeat but also adore being snuggled up at home. Here’s a fun fact — this energetic dog has webbed feet! They are superior swimmers and absolutely love the water. They were actually bred to help fishermen at sea by retrieving and diving. They love going on adventures and absolutely love being active. It’s important to take this beautiful dog on walks often. As you can see, there are quite a few dog breeds for people with allergies, so that dog-owning dream can become a reality. Be sure to do your full research on which breed is going to be best for you and your current living environment. If you’re searching for a dog as an allergy sufferer, it’s important to also know the least hypoallergenic breeds. They have their own allergies and tend to produce a lot of mucus. They’re allergies plus your allergies? Not a good mix. You can pretty much “ditto” the reasons for the Saint Bernard. Bulldogs are big time droolers and not the best fit for a person with allergies. Here’s something you might not know — some people’s dog-related allergies are triggered by urine. This breed is difficult to housetrain and there may be messes left around the house. Not ideal for an allergy sufferer. If you do have to clean dog urine, wear gloves and use bleach. This gorgeous breed is a great protector but they also tend to suffer from dry skin. Dry skin causes them to scratch and leave behind dander which is a major allergy trigger. Make sure to regularly wash dogs prone to dry skin but don’t over do it — both under and over washing can cause dry itchy skin.